The legendary chef Pierre Koffmann, who once opened the Michelin three-starred La Tante Claire in Chelsea, now has his heart set on informal dining. 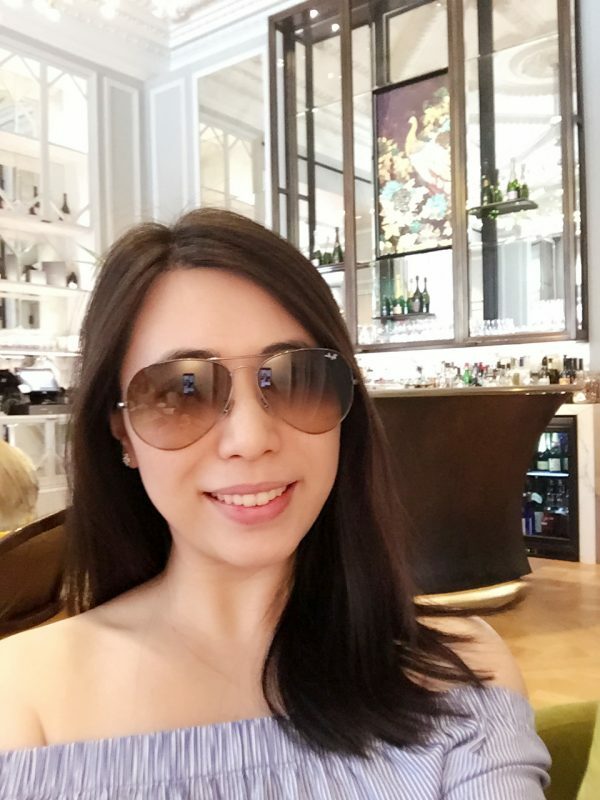 Set in the basement of the Berkeley Hotel, Koffman’s is a bistro-style restaurant which is divided into three tiers and ornamented with library book shelves and quirky vases. 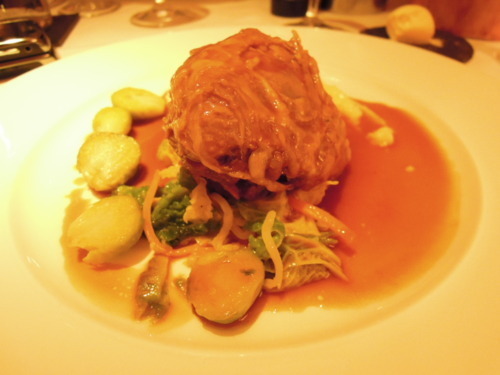 One will be delighted to find Koffman’s signature dishes on the menu – pig’s trotter with chicken mousseline, sweetbreads and morels and pistachio soufflé! 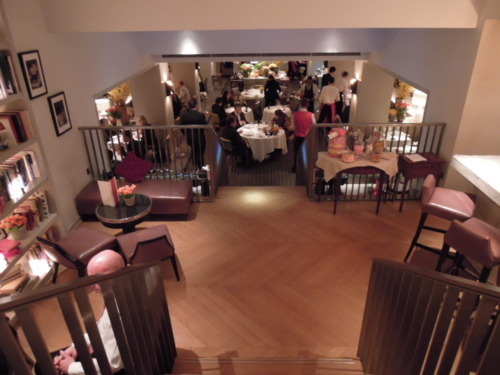 With its crisp table cloths and smartly dressed waiters, the restaurant is not as casual as it purports to be; but whether it is a true brasserie or not, it is definitely worth a visit for its exquisite Gascon food, dedicated to Koffmann’s native region. 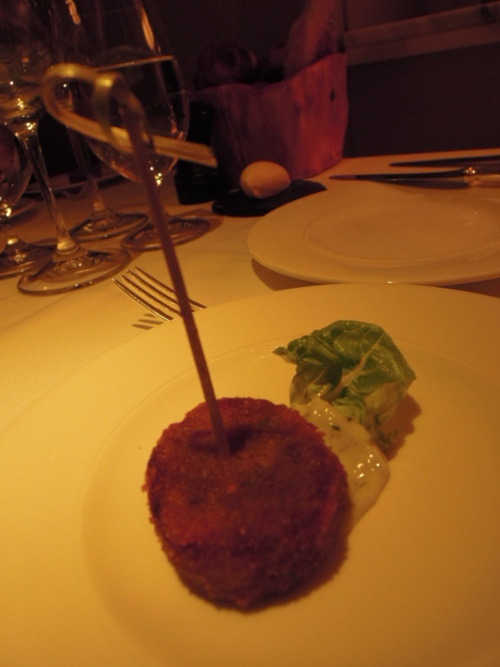 (1) The amuse-bouche was a deep fried pig’s trotter, which was beautifully deep-fried, marvellously chewy, and had a hint of mustard taste to it. 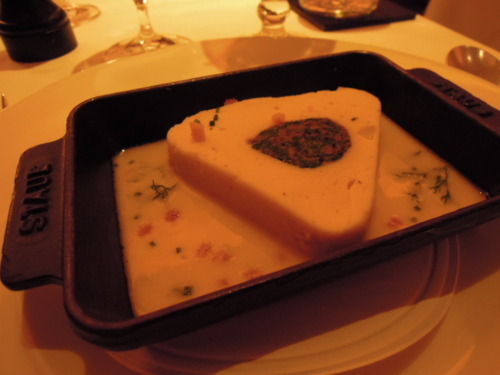 (2) The appetiser, Pike mousse with fine herbs, was equally scrumptious. The pike mousse, I am guessing, was made from fish beaten until stiff. It tasted a bit like Chinese fish balls, but was more fluffy. (3) Another wonderful appetiser was the Beef cheek & spinach ravioli. 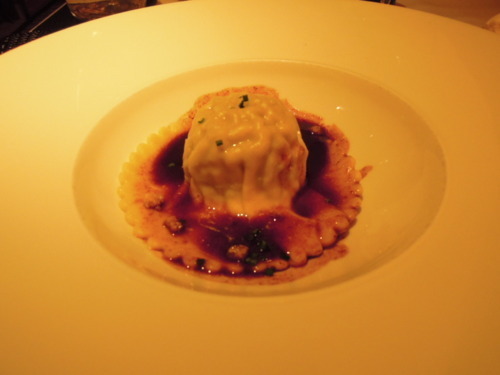 You would normally trust the Italians more when it comes to pasta, but this ravioli was perfectly al dente. The beef cheek was cooked in a thick, slightly sweet sauce and it was deeply satisfying! 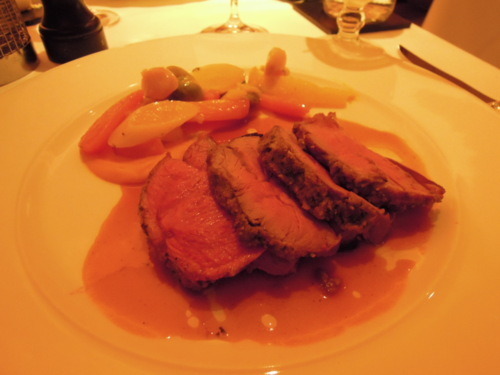 (4) My friend H ordered the Rump of lamb with winter vegetables, which he said was succulent and cooked just right. 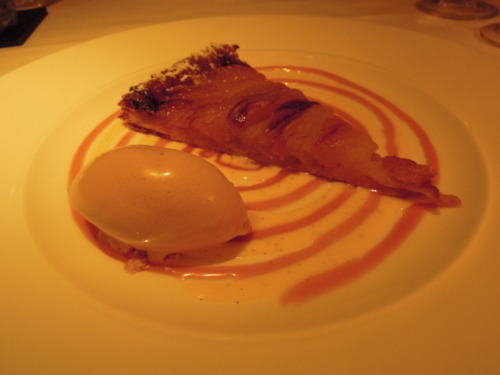 (6) The Thin apple tart was very thin indeed, which made the dessert more delicate and made the butter and apple flavours more noticeable. Moreover, don’t you think it looks absolutely gorgeous? (7) The housemade ice cream is a must-try at Koffman’s! 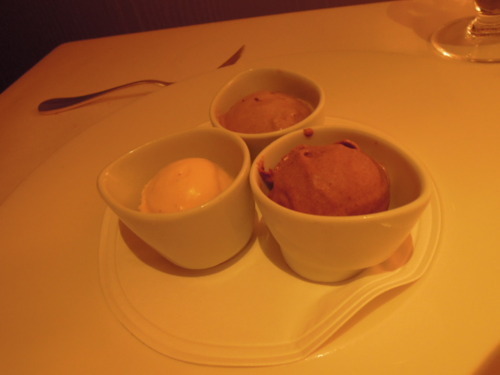 We ordered the Vanilla, chocolate and cappuccino ice creams, and they were completely velvety and plush! The ice cream also comes in many other delicious flavours, such as pistachio, caramel and cappucino! 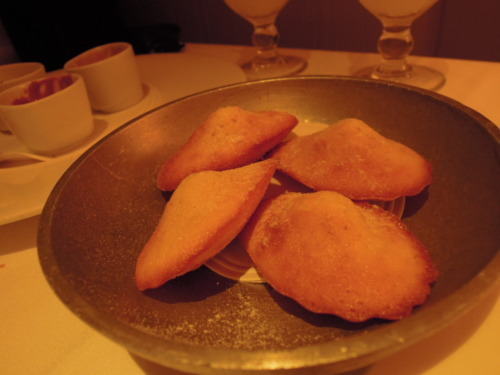 (8) Lastly, to finish off our meal, we had some lovingly prepared Homemade madeleines. They were so French, so délicieux!